Without reporting on your data, knowing if your team’s efforts are genuinely working is impossible. 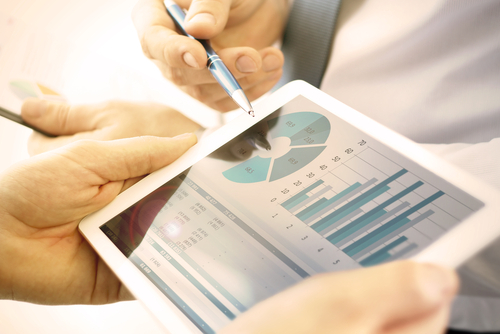 You can make your data work for you with HubSpot’s various reporting options. HubSpot offers standard reports for your contacts, lifecycle stage funnels, revenue, companies, and wins and losses. These are all important for your company to know, but custom reporting within HubSpot reporting may offer more value and help propel your business forward. Before you begin with custom reports, know what data you want to analyze and organize it. Also, you may not want to create too many reports that may clutter your dashboard. 1. Single data set. This type of custom report allows you to report on one dataset, including anything from your contacts, companies, deals, tickets, activities to products. 2. Across data set. This report allows you to report on the same data as above but across two different datasets. With across-data set reports, you can see the relationship between properties across two data sets. For example, you can analyze the connection between a deal and a contact. If you’re beginning to expand into a particular section of the United States, you can create a report that shows deals linked to contacts from that area. 3. Funnels or pipelines. These reports show progress relating to your contacts, deals, and events. With this, you can see how someone or a deal is moving through your pre-set stages of your specific buyer’s funnel and where you may need to make edits in your efforts. 4. Attribution. To see how your visitors are moving through your website, you can create a custom attribution report. These reports show a contact’s journey through your site, how they got there, and what led them to ultimately contact you. If you want to see how many of your visitors became contacts through Facebook, custom attribution reports will show this. If you want even more advanced custom reporting, you can do so through HubSpot’s Reporting Add-on and Databox. HubSpot’s Reporting Add-On is a central dashboard that combines all your marketing and sales reports into one interface, allowing your teams to see all the metrics they’re accountable for and the progress of those initiatives. With this tool, you can create custom, segmented reports based on lists, types, and views that reflect the contacts, companies, deals, or tickets you have in your CRM. For example, your teams can create reports such as Original Source Type broken down by Average Pageviews that are linked to a certain persona. You can also view the performance of your MQLs, as well what months of the years those MQLs become deals. Reporting Add-On is helpful for you to see how your different target audiences react to your marketing and sales efforts. Databox transforms your HubSpot CRM data into insights that you can deliver to your mobile, Apple Watch, Smart TV display, or Slack channels. Databox connects multiple data sources into one place, creating another customized way for your team to stop on top of important metrics. There are multiple resources within HubSpot or ones that work with HubSpot, that allow tools to create the most necessary reports for your business. The more you study and analyze data that is customized for your company, the more you can improve your business practices. To get help with custom reporting, contact LyntonWeb today.